Traillblazer Ministries Australasia, China, India and Africa work with different ministries for the purpose of cross pollination of the Gospel. It is a fellowship of like minded Ministries. We did not start all these ministers, we only help when we can. There were so many orphans in the area who had no opportunity for education and thus having grown up in the situation of no help from parents and having lost my parents early in my life, i saw the responsibility on my shoulders to those who needed the help; i too had wanted at their age. The area was fully Muslim dominated and as a minister of the Gospel, so I wanted a community were kids could have a practical education with a Christian-based character and mind. There was no such a school in the community at the time. We have had a very good start with our new church inauguration meeting with many people joining us. 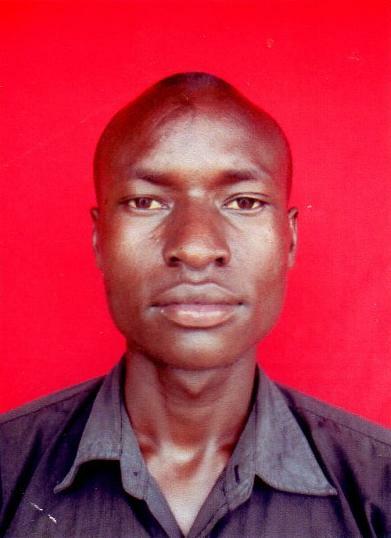 Welcome in His Name to Trailblazer Tony Smiths Bible College project in Uganda Northern Region Otuke District. Traillblazer South Africa is committed to nurturing in its assemblies, ministries and programs these key values:We are committed to living, preaching and teaching the word of God. Our love for God and His calling shall be our driving force. The power and influence of the Holy Spirit is the key agent of transformation. We value, appreciate and recognize the diversity of gifts in the body of Christ. Family: – We are committed to building strong and effective families that serve the purpose that God ordained for them. We believe that the family constitutes a union between a man and a woman and their offspring. Power of God Ministry International Guyana (POGMIGUYANA) is a legally, registered Trust Deed Acts Chapter 6:01 of Guyana. 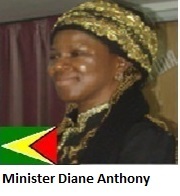 It was founded in Georgetown, Guyana in June 2014 by Guyanese, Diane Anthony who is the General Overseer and Director. It’s a non-denominational, non-profitable organisation that operates on the principles of the Bible. Traillblazer, Church Kenya Campus 1: Click here to open site. Our website has just been launched.We welcome you to partner with us in reaching out to the forgotten corners of the earth where the humblest children of God are invited to work in His Vineyard. Traillblazer Kenya is committed to nurturing in its assemblies, ministries and programs these key values: We are committed to living, preaching and teaching the word of God. Our love for God and His calling shall be our driving force. The power and influence of the Holy Spirit is the key agent of transformation. We value, appreciate and recognize the diversity of gifts in the body of Christ. To transform foreign nationals through the Word of God and the leading of the Holy Spirit that they may ultimately make heaven their home. Harding Christian Academy is fully registered by the Government of Uganda as a private registered mixed day and boarding secondary school. The school currently has an Enrollment of approximately 200 students from all over rural setting families that are suffering as result of poverty, ignorance and diseases. Hi, with gratitude to God almighty, the elders, the council and the general members of turtledove c & s Ministries (God of no shame palace) are pleased to express our profound appreciation to all our values members for their unalloyed supports and encouragement given to us in achieving excellence in establishing the church programmes. Hi we are Ben and Esther Ward and along wi th our son Ezekiel we are missionaries in Kabale, Uganda. We work with an organisation called World Evangelical Ministries (WEM), which has churches in Uganda and throughout East Africa. It is our passion to disciple and equip Christians so they can accomplish God’s purposes for their lives and fulfil the great commission. The Men’s Support Mission’s primary purpose as a group is to provide support and assistance to each other, especially during these difficult times. When we come together, we do so in an environment that provides a no holds barred avenue for discussing and addressing anything that may be causing issues in our lives.Talking points include: relationships, drugs, alcohol, employment and anything else you may care to bring up. Vision Internet Bible College Web site click here.